A healthy lifestyle is fuelled by nutrient-rich foods that give your body the energy it needs. But some of these foods come with high-calorie counts, and the ‘healthy’ label doesn’t mean it’s okay to consume unlimited amounts of them. Keep your calorie count in check by moderating your serving size. And for those days when you really need an indulgence? Dial up the activity level to burn off that excess energy. A favourite of those with an active lifestyle, fruit and nut mix offers fat for sustenance and protein for muscle repair. The varieties are almost endless, but calorie-counters beware: pre-packaged bags are often heavy in calories. Homemade versions are just a delicious and a healthier option – unless you’re moving house, in which case you’ll burn those calories and then some. Though essentially just dried out grapes, the concentration of sugars makes sultanas relatively high in calories compared to their less wrinkled cousins. In fact, you can have twice as many grapes for half the calories. Or eat a full serving of sultanas and erase the guilt by tidying the house and giving the floor a good mop. A delicious Middle Eastern dip made from chickpeas, garlic, tahini and lemon juice, hummus has a guaranteed place in fridges and on dinner party tables. As delicious as it is, it’s also relatively calorific. But there’s good news: if you can’t keep it to a couple tablespoons, you can work off those extra calories with some garden landscaping. Coconut milk gives authentic taste to curries and stews and is a delicious non-dairy base for smoothies. But those calories add up quickly. You can still achieve that creamy texture with a more moderate serving size – or try a nut milk (like almond milk), which has about an eighth of the calories. Muesli bars are marketed as a healthy on-the-go snack, offering protein and fat to fill you up and carbs to keep you moving. But most bars have added sugars and flavouring that pack on the calories. If you’re dealing with between-meal hunger pangs, opt for a handful of raw nuts instead. 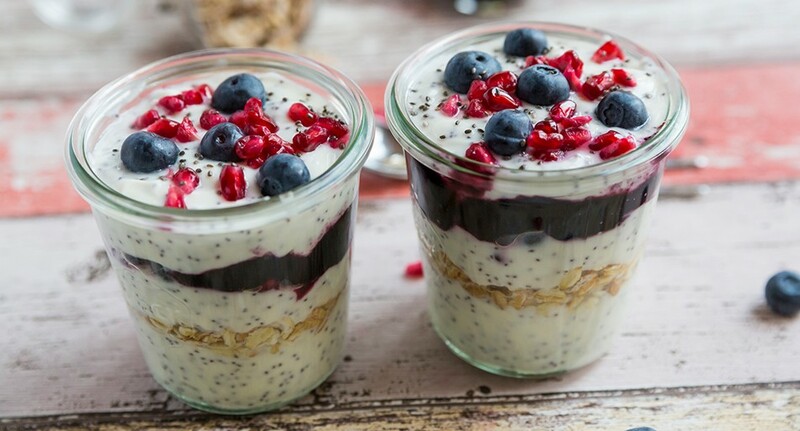 Chia seeds are one of the latest superfoods to come to prominence – and they’re packed with nutrients like fibre and omega-3, which enhances brain and heart health. But they’re also pretty heavy in calories. Counteract this by halving your portion size and sprinkling the seeds on unsweetened smoothies or yoghurt. A dieter’s staple, rice cakes actually don’t offer much in the way of nutrients. Top one with a nutritious spread like all-natural natural nut butter to remedy this issue. If you’re looking for a fun way to burn off rice cake calories, get yourself ready and go for a whirl around a ballroom dance floor! This tasty spread is a great peanut alternative and chock full of good fats – but it maintains that high calorie count. Mitigate this by reducing your portion size and spreading it on apple slices, rather than bread or crackers. An increasingly popular base for healthy salads and main dishes, quinoa seems to have taken the place of potatoes and pasta. Despite being a complete protein, it also offers plenty of carbs and calories. Your lunchtime Mediterranean quinoa salad is the perfect excuse to take your bicycle out for an afternoon spin. Less than an hour will balance the scales for a large portion. It’s important to remember that ‘healthy’ doesn’t mean low-calorie. So while these foods make great additions to your diet, be mindful about how much of them you consume. Of course, we all have days when moderation goes out the window. Work off the excess calories by ramping up everyday tasks in your routine. Mix and match from the suggestions provided and focus on finding a healthy lifestyle that suits you.